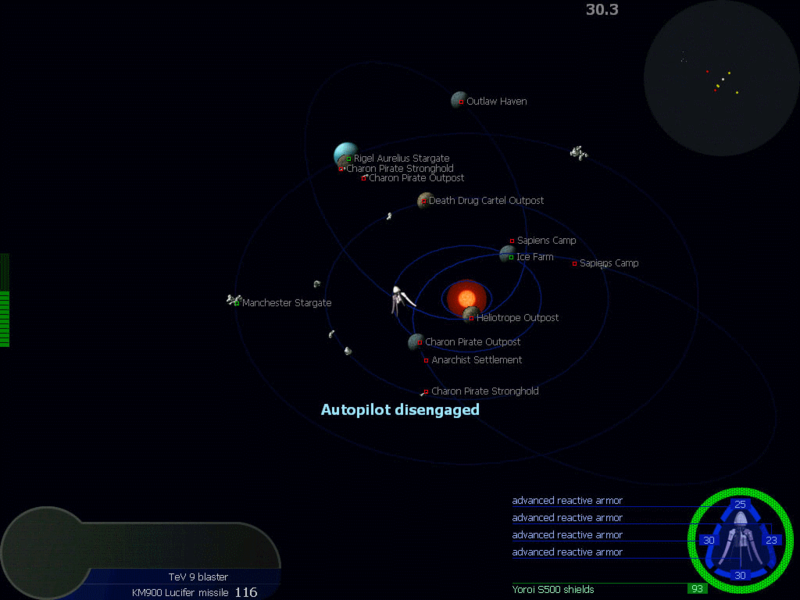 Its the best 2D space exploration, trading and combat game ever! Transcendence is in the process of being ported to native Linux (the Windows version already uses libsdl). I imagine that if the source code is opened up, this would make it very easy to port to the PSP. Is it possible for someone to port transcendance to the psp? I have been playing this game for a year off and on. I love it. It is mod-able, so there is always something new to add to the game. Playing a Corporate level frieghter that is nearly god like is frikkin sweet. This is definitely a must play! Cool little game and the author promises to support it for years to come. I launched the program after using JauntePE to make a portable build. It runs fine. No registry modifications are made because all the registry entries (all 2 of them, music on/off and sound level) are saved to the portable registry instead of windows registry. Also, the build is fairly simple because the only option you need to have are to write the registry settings to a portable registry. You do not need to worry about the file locations because Transcendence already writes the game save information to the application folder. So if you are worried about the registry entry, make a portable-er (I know that's not a word but I already consider this a portable application) version using JauntePE. While it is true that this program creates a registry entry, it is only the settings that are saved there. Considering the only settings in the game are music on/off, it does not effect the portability of the program it just makes the program less stealthy. If you are concerned about this registry entry, simply delete it using registry commander. The registry value is located in software/nerohack/transcendence key, so you could delete the nerohack key and there would be no trace on your computer. I will try launching this application using JauntePE so it will not write to the registry at all. I will let you know how it works. Don't let the registry entry discourage you from trying this game. It's a great game. But if it writes settings to the registry, doesn't it defeat the purpose of being portable? To me, portable would mean that nothing is left on the host computer after the application closes. You can start the game in a window by stating it with the /windowed switch. Create a shortcut to transcendence.exe then open the shortcut's properties and add " /windowed" (notice the space) at the target field. The application will launch in a window however it is extremely unstable and it paints over the windows desktop and other application and therefore it is really pointless. It also doesn't allow you to resize the window in this mode either. I talked to the creator and he said that a windowed mode that is more stable and easily accessed with all the added functionality of a window will most likely be added to later versions of this game. Until then I just recommend running full screen and hiding from your boss. Does anyone know if there is a way to load this game in a window instead of full screen?